Many times, investing a lump sum in mutual funds becomes difficult for a variety of reasons. This is where Systematic Investment Plan (or SIP), comes to the rescue. 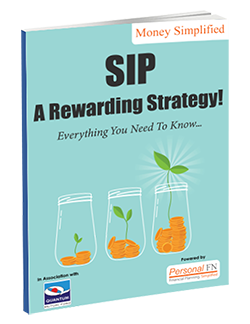 And if market volatility makes you jittery, taking the SIP route would help you mitigate the risk. In fact, starting small but investing regularly for the long term, can help you generate wealth. SIP, a mode of investing in mutual funds, can prove to be rewarding if you are committed and disciplined in the journey of wealth creation.